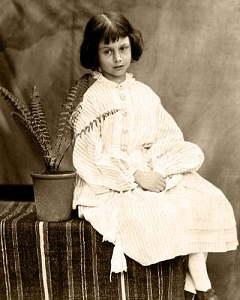 Following a very successful research seminar run by CIRCL (Graduate Centre for International Research in Childhood: Literature, Culture, Media), Jess Sage’s paper, entitled ‘What is with Alice?’ has raised interest more widely. As a result of this we are delighted to be able to offer the full text version of the talk here. Our congratulations to Jess on such a well received piece of research. This entry was posted in Department of English Literature news and events and tagged 'What is with Alice? ', CIRCL, Culture, Department of English, Department of English Literature, English Department, English Literature, Graduate Centre for International Research in Childhood: Literature, Jess Sage, Media, Reading, University of Reading. Bookmark the permalink.